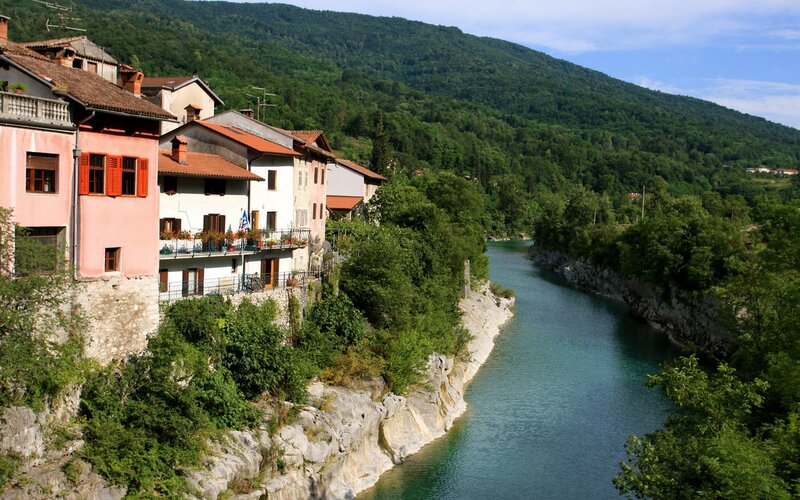 The Soča river is characterized by it's incredible colors: sparkling light green a symbol of new life. 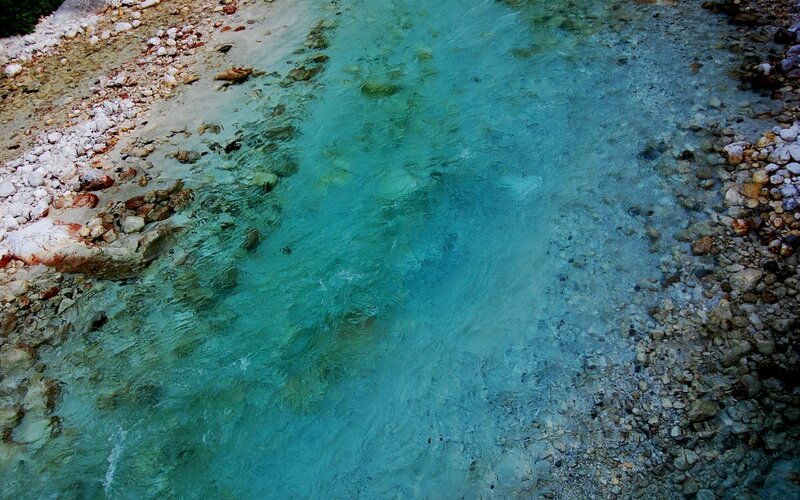 The precious stone and the river share the harmony of transparent green light, colorful peacefulness and refreshment. 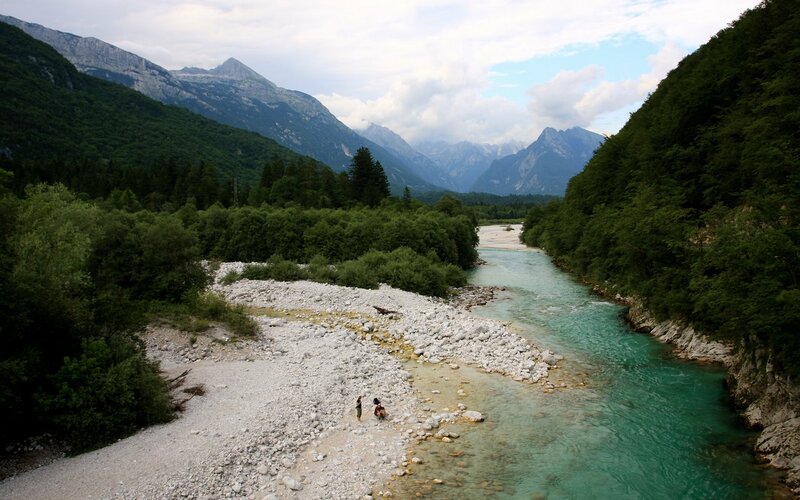 A journey walk along the Soča river is a relaxing beautiful walk, looking like emeralds. 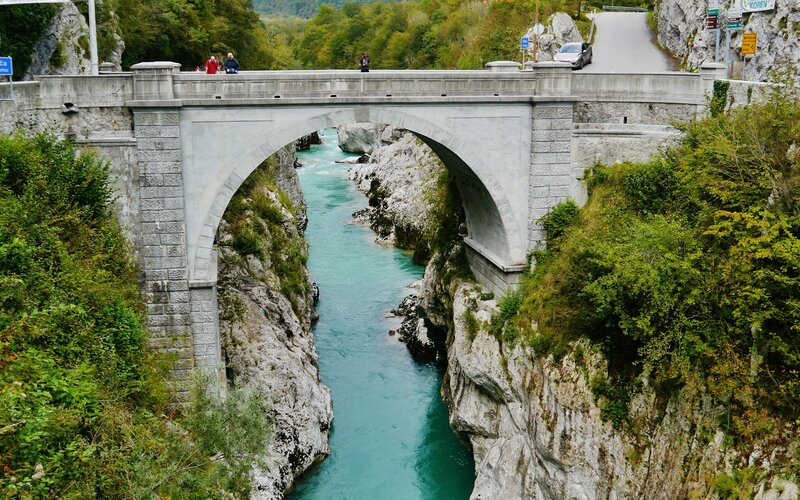 Is is the soul of Tolmin and Bovec an eternal feature of the Alps? It is famous for very good kajakking, but you have to possess excellent kaiak qualities, because some passes are dangerous and by heavy water very challenges. Also the fishing is famous here, if you like the trout, very nice fish. The popular 19th century poet Simon Gregorčič, once called it ‘the clear daughter of the mountains’. 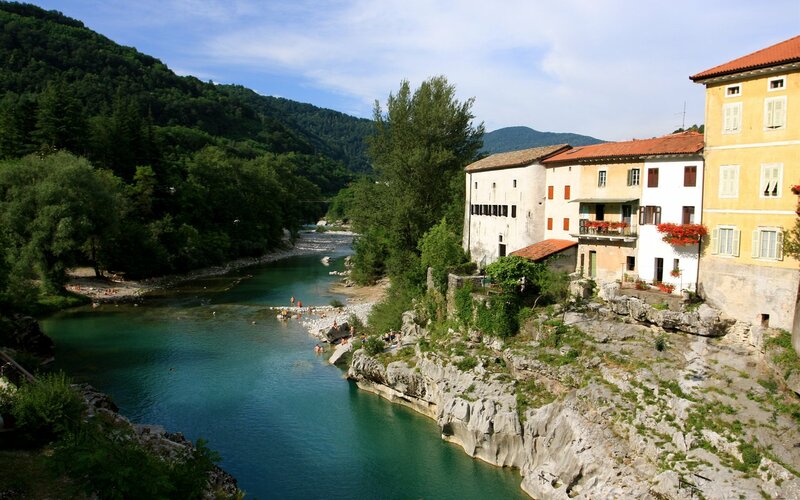 This region is really known for hike with family, do not forget to hike in the gorge.